We all bring unconscious biases into all of the situations we experience and we are all limited in terms of our self-knowledge. This means that we all have more to learn about ourselves. I think back to being a young man and wonder at the incredible number of blind spots I had. I drastically lacked empathy. I had very little idea of how I was perceived by others when I interacted with them and I often intimidated people and used silence and stonewalling to gain control over the interaction. I received very little direct feedback about how I affected others (no wonder, with how I acted! ), or when I did get feedback, I ignored it. I was unaware of all these blind spots. When I think back on that younger me, I wish he had gotten the tools he needed to learn more about himself. It could have saved me many years of pain and many damaged relationships. In particular, I wish the younger me had been taught self-enquiry as that would have made a huge difference in my life. Why self-enquiry? In order to explain that, we need to take a look at what self-enquiry is and how it helps us learn about our blind spots. 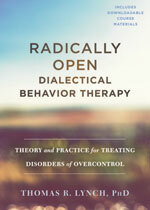 Self-enquiry is a central practice in a new evidence-based therapy called Radically Open Dialectical Behavior Therapy (RO DBT). This therapy is designed for people who are overcontrolled (i.e., people who are excessively self-controlled or inhibited), but the practice can be helpful for anyone interested in learning more about themselves. Self-enquiry is a kind of mindfulness practice in which you ask yourself good questions to help you find your “edge.” Your edge is your personal unknown – the place where you have something to learn. Through taking us to our edge, self-enquiry helps us to understand our experiences in new ways, develop new behaviors, and fill in our blind spots (but the good news is there will always be more blind spots to fill in). Our edge usually occurs in situations where we feel uncomfortable. An edge can often be found whenever we find ourselves struggling with a feeling, ruminating about a problem, strongly defending against or rejecting feedback or criticism, or quickly agreeing with feedback or criticism from others. We can often feel it in our body – tightness in the chest, rapid breathing, butterflies in the stomach, clenching fists, numbness, desires to walk away. Practicing self-enquiry can help us to see these situations as opportunities for growth rather than as problems. Situations where distress arises often tell us that some expectation we have is not being met, a belief is being challenged, some feedback is occurring, or that one of our goals is not being met. Self-enquiry helps us grow from these opportunities to learn, so that we can respond more adaptively to ever changing life circumstances. Self-enquiry involves a willingness to courageously challenge our beliefs, convictions, and perceptions of what’s true –in order to grow. Self-enquiry presupposes that “we don’t see the world as it is, we see the world as we are.” Thus, self-enquiry focuses on the pursuit of truth, rather than its attainment, realizing that every new understanding is limited, fallible, and potentially biased. Self-enquiry involves taking responsibility for our beliefs, choices, and perceptions, rather than blaming others or the world. It involves a willingness to question ourselves when challenged or threatened, rather than immediately defending ourselves. Self-enquiry involves turning toward and learning from the very experiences we want to avoid, discount, or find challenging. Keep a self-enquiry journal. It’s often helpful to write down your self-enquiry, rather than solely doing it in your head. The journal serves as a written reminder to return to the practice on a regular basis. Learn to embrace healthy self-doubt. Self-enquiry involves doubting oneself, on purpose, in the service of learning. Healthy self-doubt involves questioning ourselves, rather than harshly blaming ourselves, avoiding the situation, or falling apart. Have you ever noticed that sometimes other people know things about you that you don’t? Outing ourselves takes advantage of the fact that others have a different perspective and may see things that we don’t. Outing ourselves involves sharing the personal insights or understandings developed from our self-enquiry with others. This can be very helpful in understanding our blind spots. By sharing our internal experience with others (especially those we trust or want to get closer to), they can give us feedback by either validating our experience or explaining how their experience differs. Outing yourself can also be helpful when self-enquiry shows us parts of ourselves that we might feel ashamed of or don’t want to acknowledge. Outing yourself involves courageously going opposite to the tendencies to want to hide these parts of ourselves that don’t really need to be hidden. Outing yourself to trusted others can often bring you closer together through the courageous sharing of vulnerability. In addition, outing yourself around unwarranted shame or embarrassment tells your brain that there really isn’t anything to be ashamed of, whereas hiding those things tells your brain that there really must be something wrong with you. It can therefore be helpful in reducing excessive shame. How do I learn more about self-enquiry? 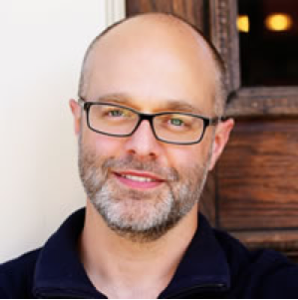 About the author: Jason Luoma, Ph.D.
Jason Luoma, Ph.D., is CEO of Portland Psychotherapy, Clinic, Research, & Training Center. He is a practicing clinical psychologist and researcher focusing on shame, self-criticism, self-compassion and the interpersonal functions of emotion. He has provided numerous workshops around the world and has nearly 50 professional publications including a book. He is intensively trained in RO DBT.